Hundreds of movies and songs have pointed to it. Books and poems have alluded to it. Religions have embraced it: love is all the world needs to solve its problems. Yet, for most of the year, this message lingers in the background. 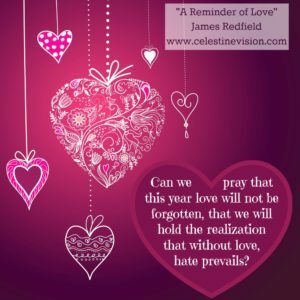 Too often, we seem to forget the power of love until, thankfully… the holiday time of year rolls around. But why do we forget? Everyone has felt love. We’ve loved a grandparent, a parent, a child, a pet… or someone special in our lives. We know love is real, but it is also elusive, and we lose the feeling. We lose it because life is crowded and busy and in-tangled with so many people who don’t seem to have our best interests in mind. We find we have to defend ourselves in this world, so we fight back and compete. And, sometimes, we slip from competition into hate, especially now in a world so polarized. We hate those who disagree with us, those who attack our political views. 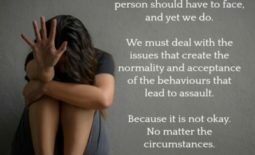 We hate because we think our assumptions and way of life are being threatened. We think that with hate and anger, we can push the negative back, put out its fire, and feel more secure in our fortress. But anything that you hate always grows stronger – because those who feel hated, marshal their forces, and increase their efforts to hate back… and hate grows. In all this, the power of love remains forgotten, even among those who know love. Could this explain our world of polarized opinion, where exaggeration, lies, and demonization abound? Perhaps it is love — remembering love — that could lead to restoring truth and civility? Toward this possibility, the traditional holidays beacon to us, radiating the memory of love. The songs, the poems, the special moments with others dare us to cross all boundaries, to lift all conflicts into a higher solution. Can we pray that this year love will not be forgotten, that we will hold the realization that without love, hate prevails? Can we pray that all the people who know love will evoke it, and will stay on the light side of human striving? Not hating the dark, but gently replacing it… as we share and learn and hope with each other.